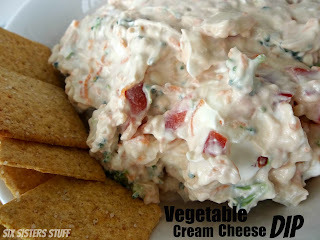 I have the hardest time eating veggies while I’m pregnant unless I dip them in something. 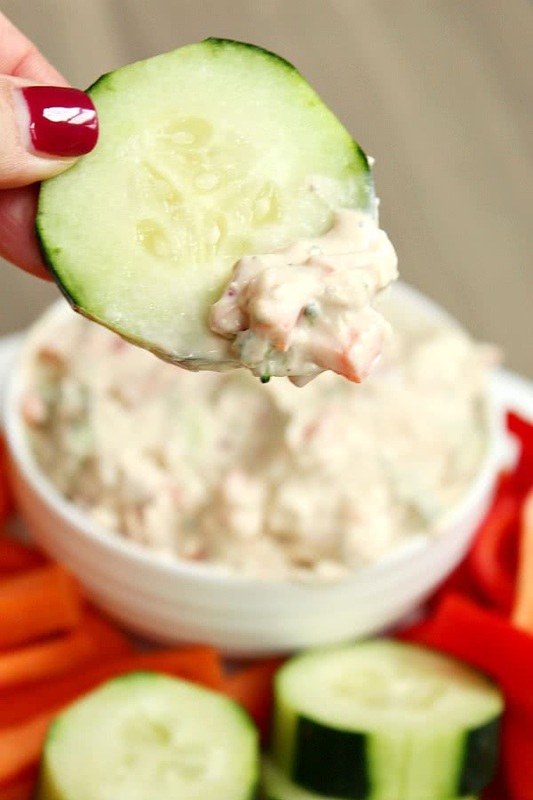 I found this skinny vegetable dip that works great with dipping crackers or veggies! My husband was thrilled when I brought it to him for lunch. Combine all ingredients in a medium bowl; taste and season with additional salt and pepper as desired. Refrigerate and serve chilled. *To mellow out the flavor of the onion, after dicing, soak it for 15 minutes in cold water, then drain, pat dry, and proceed with the recipe. Or if you prefer, you can use scallion or chive. Looking to get some new knives for cutting all those veggies? We LOVE these ones! sounds great :D i'm gonna try it! Oh wow! This sounds so yummy!